When we watched the crisis in the Horn of Africa unfold, we felt we couldn’t act quickly enough. We launched an urgent campaign to intervene in the lives of thousands of people by sending containers of nutrient-packed food and medical supplies. What our supporters accomplished was incredible—32 containers of aid sent to the Horn; thousands rescued from starvation and sickness. But we don’t plan on ending our involvement in the Horn. After meeting immediate physical needs, we can begin to invest in sustainable solutions that will further develop and rebuild the frail infrastructure of these recovering countries. 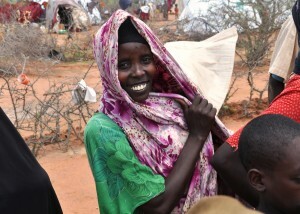 Through our Global Hunger Fund, communities throughout the Horn of Africa can begin to establish a lasting health. This unique fund goes beyond just supplying humanitarian aid; it gives opportunities to build toward the future. It offers simple, but strategic solutions to hunger, poverty, poor economy, and more. The Global Hunger Fund allows us to act fast where food shortages are most dire. 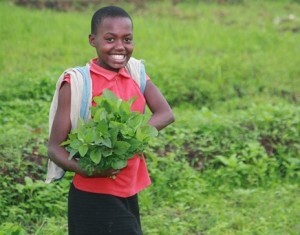 We distribute arable land grains, rapid-growing produce, and livestock. These resources yield benefits that meet basic needs, while simultaneously strengthening the physical, fiscal, and social health of a community. Grains and seeds are easily-manageable agricultural investments, while livestock (particularly poultry) provide essential nutrition, as well as fertilization and a source of income. Though basic, these are assets that stabilize communities and allow them to thrive. Sustainability for a community means a future of health and prosperity. It means families will have the financial means to provide their children with medicine and education, individuals can run small businesses and help to develop their local economy, communities can begin to invest in social cultivation, and subsequent generations will succeed. The Global Hunger Fund is a strategic way to ensure that thousands of people will have viable or productive futures for years to come. By setting up sustainable methods and standards of living, we give opportunities for lasting health on all levels. 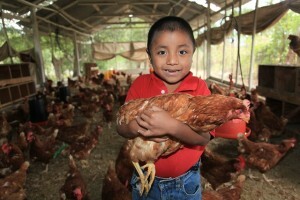 World Help can only provide this health through the help of our inspiring supporters. Recently, we were encouraged by the efforts of a university dance group The Peacemakers who campaigned to raise funds for the Global Hunger Fund. The group hosted “More Rockin’ 3,” a dance competition whose proceeds provided sustainable solutions for people affected by the Horn of Africa crisis. It is because of the selfless passion of individuals like these students that thousands will experience lasting health. Learn more about how you can help us provide sustainability to communities in need through our Global Hunger Fund.